Barclow — an Earth-type planet on the fringes of space at an inestimably distant point in the future. Two factions have laid claim to it: humans from the nearby colony world of Metralubit, and a small group of Chelonian troopers. But in nearly two hundred years of conflict not one shot has been fired in anger, there are regular socials in the trenches, and the military commanders are the best of friends. 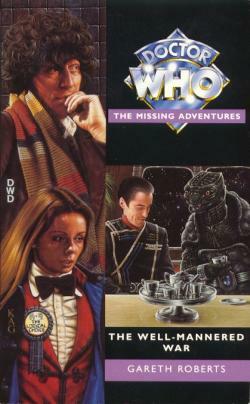 This adventure takes place between the television stories Shada and The Leisure Hive. 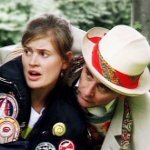 Gareth Roberts is the author of far too many Doctor Who books, including the poll winners, The Romance of Crime and The English Way of Death. He sill lives in Cricklewood. Romana est habillé en Pertwee sur la couverture ? !